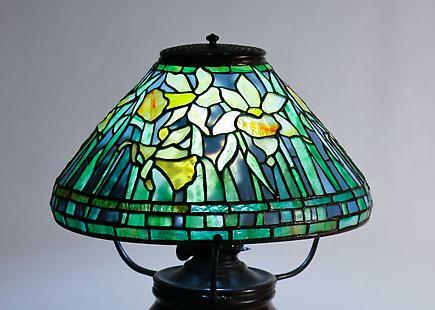 A Tiffany Studios table lamp comprising a Daffodil leaded glass shade designed by Clara Driscoll on a bronze "Swamp" base, with the leading and bronze finish in a rich brown patina. The lamp has an original bronze reticulated heat cap in matching finish. Both the shade and base are signed. • Albuquerque. 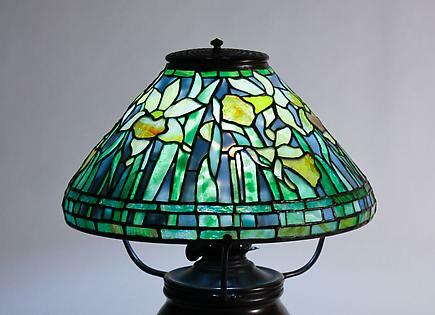 Albuquerque Museum of Art and History. 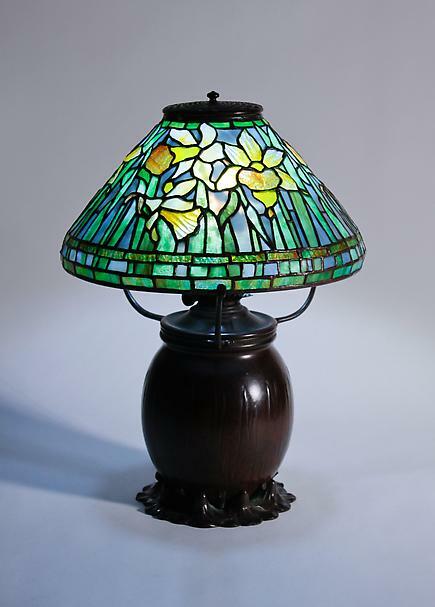 "A New Light on Tiffany: Clara Driscoll and the Tiffany Girls," May 8 - August 21, 2011. 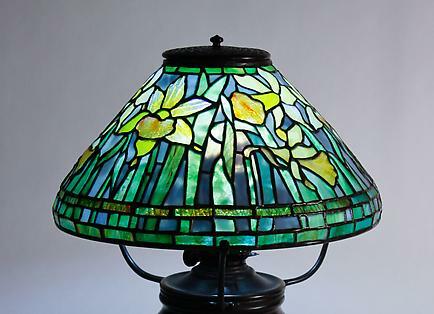 A Tiffany Studios table lamp comprising a "Daffodil" leaded glass shade designed by Clara Driscoll on a bronze "swamp" base, with the leading and bronze finish in a rich brown patina. The lamp has an original bronze reticulated heat cap in matching finish. Both the shade and base are signed.